The anti-aging treatment enriched with 21 plant extracts that uses a hydrolipidic and biomimetic double formula to optimize the performance of the skin's five vital functions: hydration, nutrition, oxygenation, regeneration and protection. This multi-tasking serum does it all! 1 Fl. Oz. 1.6 Fl. Oz. Two power-packed anti-aging serums in one! Formulated with 21 potent plant extracts—including age-defying Turmeric—to visibly firm, smooth and boost radiance in just 7 days. * Performance that goes further in decoding the language of youth to address all visible signs of skin aging. All ages, all ethnicities, all skin types—even the most sensitive skin. Mineral oil free. Soothes and fights skin-aging free radicals. Boosts the skin’s natural hydration. Nourishes, comforts and promotes suppleness. Helps eliminate toxins to revive radiance. Visibly minimizes lines and boosts radiance. Visibly refines skin texture and mattifies skin. Supports the natural skin barrier. Turn the dial to select a customized dose for your skin’s needs. Mix both phases in the palm of your hands. Apply to clean face and neck with light pressing motions, working from the center of your face outward. Follow with Day or Night Cream. Rated 3 out of 5 by gabrelle_gabby from Like liquid moisturizer in a pretty bottle I've used about a quarter of a 1.7 oz bottle until I stopped using it. While on one hand, it keeps my skin well moisturized, it also is so nutritious that it causes whiteheads. I've not seen any changes in my expression lines. Rated 5 out of 5 by Msbucks from Noticeable improvement Almost immediately since I started using this serum I’ve seen a drastic improvement in my skin in so many ways. My pores are smaller, clearer, less noticeably clogged and blackheads in problem areas. They are shrinking before my eyes. My skin is so bright and radiant, it is more beautiful by the day. I use morning and night, small pump in am and large pump in pm, and every morning when I wake up my skin feels so soft and smooth like never before. I’m excited to see how these results continue over a year plus; the immediate results in first few weeks have been drastic. This is by far the best my skin has ever ever looked. Rated 1 out of 5 by Anonymous1111 from Cherry pop tart This was not good for my skin. It made my forehead break out into a hundred tiny pimples. My face looked like a cherry pop tart and my forehead itched and took 2 weeks to heal. Rated 5 out of 5 by Anubha from phenomenal product! I've been using this for almost a year and this is the best product I've used- ever. Real results- glowing skin, reduced lines. I use it after bath and it works magic. Rated 1 out of 5 by JenniferLA from Redness after using 3 of Clarins products I brought three of Clarins’ products: Gentle Foaming Cleanser Double Serum Hydra-Essential Crème Use them in that order for the last two days and noticed my skin got extremely red. This is my first time using this product and will return it tomorrow after my experience and reading others online. Not sure which of the 3 products created the allergic reaction, but they all have similar key ingredients so I’m returning them all. Rated 5 out of 5 by Backcountry Diva from Works great, but requires some patience I love this serum so much! I honestly didn't think I was going to though. It took several weeks for me to see any kind of difference in tone and firmness, but all of a sudden my skin looks so plump, so healthy, fine lines...gone. You don't have to use much, but if you give it some time it's amazing. I use twice a day and do not experience any irritation from it. Rated 1 out of 5 by Skin fanatic from Did not work for me It irritates my skin, made me itch and break out in tiny zits. I used it for 3 weeks before discontinuing it. When I stopped the itching went away. My skin is changing with age. I’m 51 and it’s a bit dry. I’ve been traveling across the U.S. with my job and my skin has been drying out in certain states but I've never had a problem with dry skin. Might be menopause. This product seemed somewhat hydrating but I used a heavy moisturizer on top of it at night. the serum soaks into your skin and leaves behind quite a glow but the irritation concerned me and I returned it. 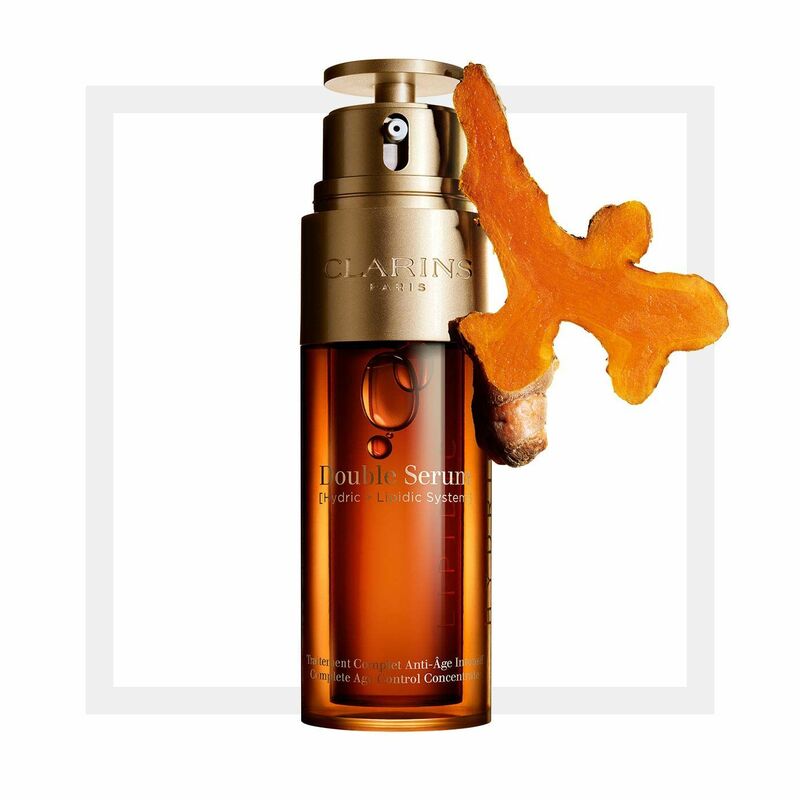 I use other Clarins products that I love!